Eva's calendar fills with visits far in advance. Please send in your group reservation form at least three months in advance at a minimum, and we will try our best to accommodate your requested visit dates. Thank you for your flexibility. Tours are available for school and other groups during museum hours (Tuesday through Saturday 10:00am to 4:00pm EST) or by appointment. Due to the size of the museum, we cannot accept reservations of more than 120 people. CANDLES politely asks visitors not to bring backpacks and large handbags to the museum. If a visitor must bring their bag with them, the security guard will keep the bag safe until he or she is finished touring the museum. Thank you for helping to keep the museum safe for all visitors, employees, and volunteers. The cost is $5 per person. *We do not recommend bringing children under the age of six (6) years old. Students and visitors are also encouraged to explore our permanent exhibit "Choices: The Holocaust Through Eva's Story," as well as our interactive "Dimensions in Testimony" exhibit. We will have staff and student workers available to answer any questions your group may have. We look forward to your visit! To begin the reservation process, please complete the Group Reservation Form below. You should allow three to five business days for processing. 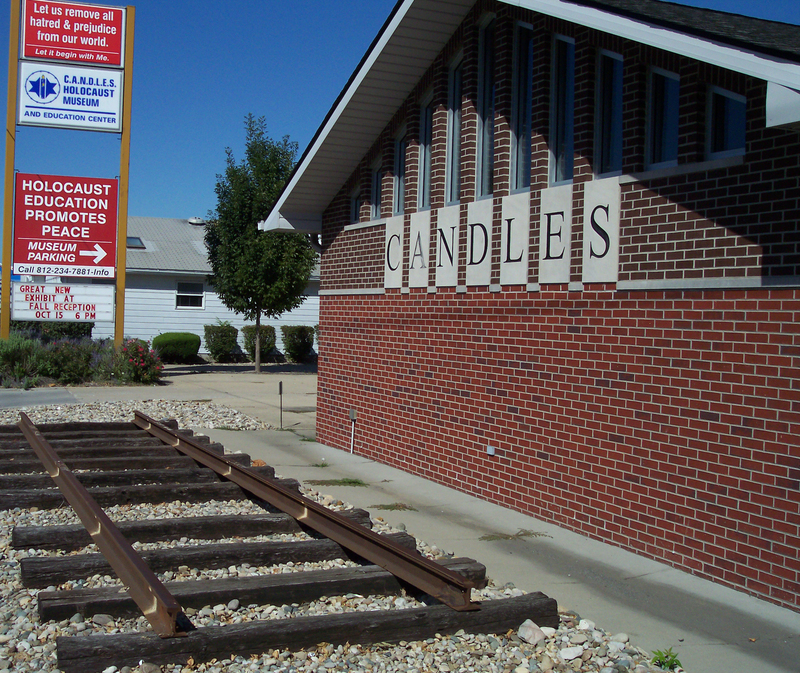 If you have questions, please call 812.234.7881 or email groups@candlesholocaustmuseum.org. Already registered to bring your group? Check out our Group Visits packet below.